Children of all ages gather to sing for the first 15 minutes of SS in the children’s choir room and then listen to a Bible story. 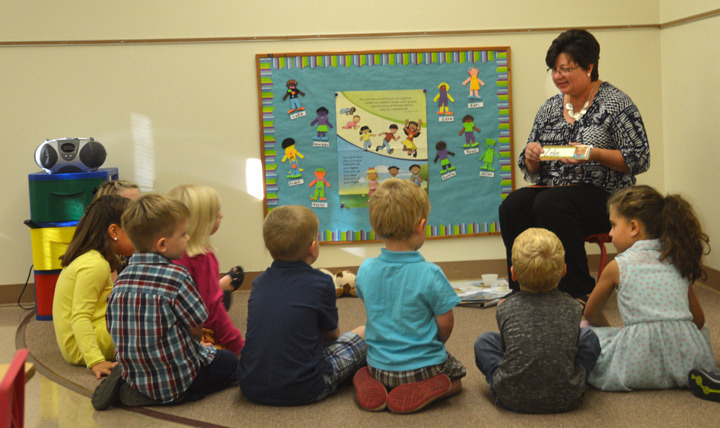 They disperse into groups according to age to do a variety of Bible story response activities that include crafts, games, discussion and written work in their student workbooks. Youth in grades 6-8 study the MennoMedia Junior High Youth Shine curriculum. 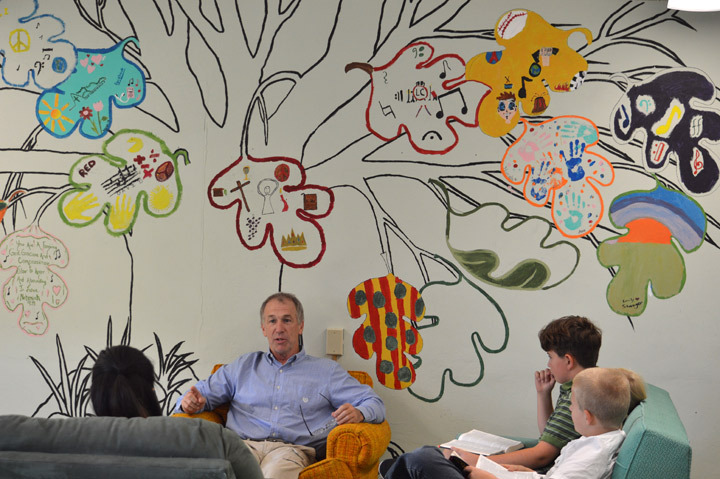 Highlights of the curriculum include prayer, putting Bible stories in broader context and learning to connect those stories to their lives, Bible memory passages, worship together, learning ways to connect with God, and talking about ways to express faith through lives of peacemaking and service. 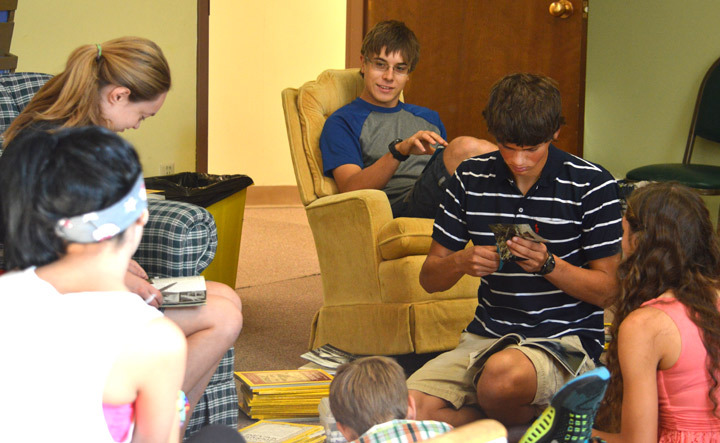 The Senior High Sunday School class welcomes students from grades 9-12. We meet in the high school youth room located on the second floor and discuss a range of topics with a yearly theme. Our purpose is to learn how to live as a Christian in the broader community and how we can maintain our own spiritual health. We cover a range of topics with Bible studies, group and personal activities, and more. Come join us for a time of hanging out with friends while discovering what your faith means to you!